EDITOR'S NOTE: Under the final tax bill, agreed to after this article was published, losses from wildfires and other natural disasters are no longer deductible absent a federal disaster declaration. With wildfires destroying hundreds of homes as they rampage across Southern California this week, Democrats are again chastising Republicans for eliminating a natural disaster deduction from the tax reform bill that the House passed last month. The House bill, approved on Nov. 16, removes the deduction for personal losses from wildfires, earthquakes, hurricanes and other natural disasters not covered by insurance or other assistance. Victims of major disasters could still get tax breaks provided Congress passes special legislation particular to the disaster. 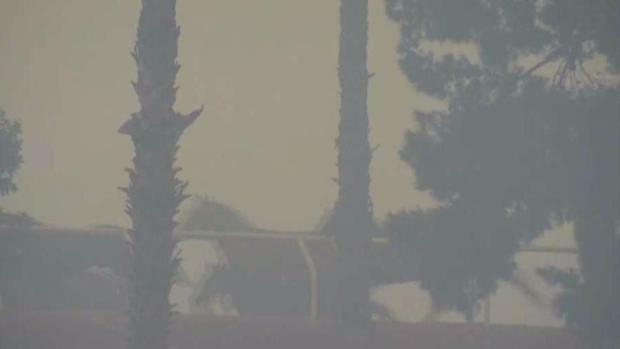 As the Lilac Fire grew off SR-76 and I-I-15, horses on one property fled the flames. The troubling moments were caught live on NBC 7. 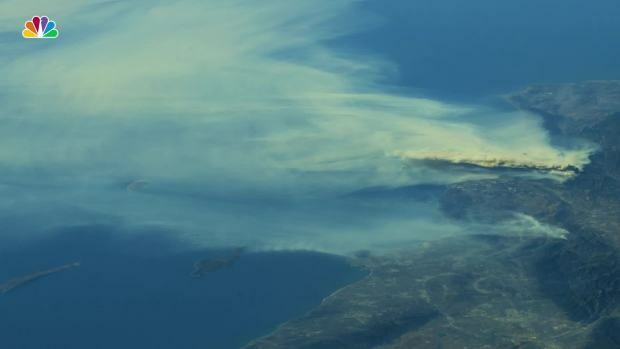 Several fires have been raging in the greater Los Angeles area down to San Diego, threatening lives, homes and businesses. They are being driven by dry conditions and the Santa Ana winds, forcing 190,000 to evacuate, shutting down highways and suspending Amtrak service. Overall, the state has faced one of its most destructive and deadly fire seasons in history. The new fires are blazing just as insurance claims from the state’s wine country fires in the fall reached more than $9 billion, the bulk of it from hard-hit Santa Rosa, making those fires the costliest in California’s history. Forty-four people died and thousands of homes were destroyed. The mayor of Santa Rosa, Chris Coursey, called the elimination of the natural disaster deduction “unfathomably bad.” Santa Rosa continues to deal with the state’s worst fire disaster, he said. “We’ve got a serious humanitarian disaster, a serious infrastructure disaster, a serious economic disaster that we’re facing over the next several years,” Coursey said. Earlier, the state’s two Democratic senators, Dianne Feinstein and Kamala Harris, noted in a statement that the elimination of the tax deductions in the House bill — among many to make up for cuts in corporate rates and other changes — comes during the worst fire season in the state’s history. Kobi Boysen, one of thousands evacuated during the Thomas fire in Ventura, rescued a cat in a neighborhood that had been badly damaged by the wildfire on Wednesday, Dec. 6, 2017. "I found a little kitty over there. I’m not sure who she belongs to," he said. Boysen said she was "just calling out, looking for help." “Asking victims of wildfires or earthquakes to suffer in order to pay for tax cuts for the rich is the height of cruelty,” they said. Democrats questioned whether residents would to be able to determine their losses in time for this year’s taxes, though they would be able to file for an extension or file an amended return. And Democrats were crying foul over tax benefits that victims of hurricanes Harvey, Irma and Maria received but not those trying to rebuild from the recent wildfires. Coursey criticized Republicans for singling out California, a blue state unlike Florida, Texas and other states hard hit by the hurricanes. “I don’t know how anyone in Congress can justify taking on the victims of a disaster at a time like this,” he said. Texas Rep. Kevin Brady, the Republican chairman of the House Ways and Means Committee, has said that he plans to introduce legislation offering special tax relief for wildfire victims, too. “I am focused on securing funding for those impacted by this year’s devastating storms and wildfires while also working to wrap up the most transformational tax reform bill in a generation,” he said in a statement on Thursday. Current law allows deductions for uncovered losses if the amount exceeds 10 percent of one’s income. Congress earlier this year waived the 10 percent requirement for the hurricane victims and allowed them to withdraw money from their 401K retirement funds without penalty, among other benefits. The Senate tax reform bill retains a deduction but only for federally declared natural disasters. President Donald Trump on Friday declared a state of emergency over the fires, which allows for federal money to fight the fires. That is separate from a major disaster declaration, which would required under the proposed Senate bill and which would provide assistance for emergency and permanent recovery work. Because wildfires often are smaller than other natural disasters and do not receive a federal designation, the elimination of the deduction would hurt California in particular. Feinstein's office points out that of the 57,981 wildfires in the United States this year, only the October fires in California have received a federal disaster declaration so far, according to data from the Federal Emergency Management Agency and the National Interagency Fire Center. 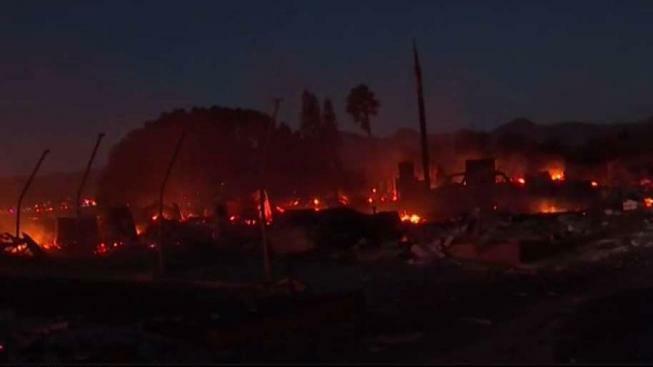 But the other fires are just as devastating to those affected, lawmakers noted. Americans deducted $1.6 billion in 2015 for natural disaster losses, according to the IRS. The Treasury Department estimated that taxpayers would deduct $4.83 billion in losses beginning next year through 2027. The House and Senate must reconcile their two tax bills before a final version is sent to President Donald Trump. Republicans have said they want a bill by the end of the year.